I have just held my first Christmas craft stall, as part of Designer Makers London, at Euston. 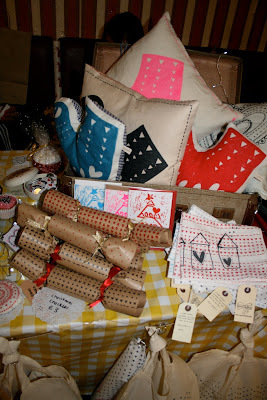 I specially made for the stall bunting that spelt out: 'Cherry Christmas'. On the stall I put out some promotional cards for the shop Yarn Over, along with my own business cards. For sale were a range of items, dolls, cards, framed prints, broaches, gift bags. Also some of my sister's illustration cards. One of the other stalls on the day, that I liked was Zeena Shah's. 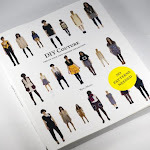 She is a printed textile designer. In the middle of her table she has a stand of cupcakes, pink and yellow cakes with glitter on top. 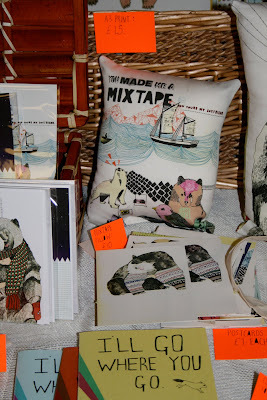 Another stall I particularly liked is Julia Potts illustration stall, her main imagery of bears, sold as prints, cushions & cards. It was a good day, although there could of been more people come, but I think the cold weather deterred people. 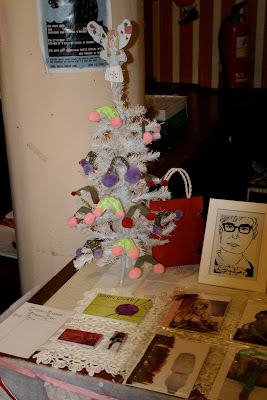 The organizer of the event was Cassie English, with her stall of lovely handmade cards. Hopefully in the future there will be more events with Cassie that I could be part of.